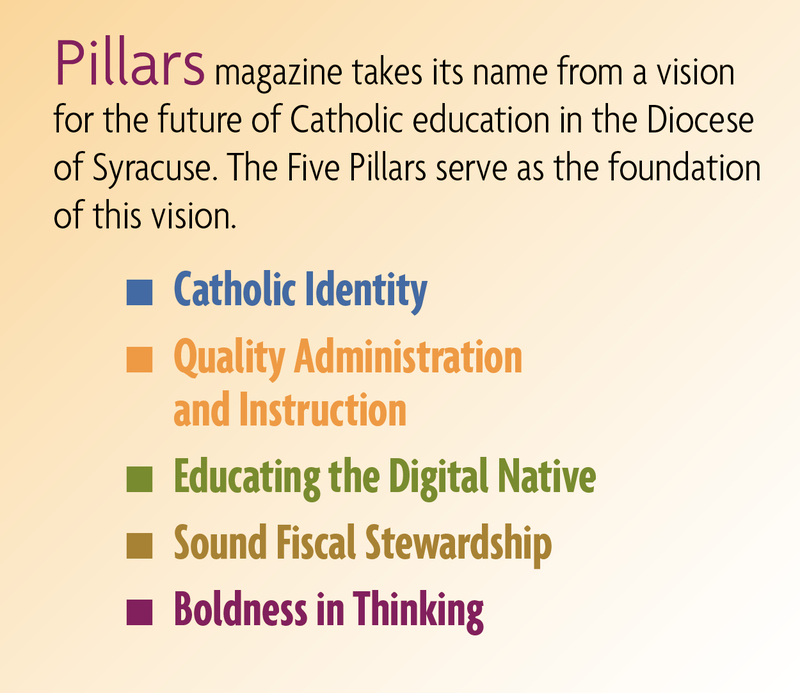 Digital natives like students at Immaculate Conception School are using iPads and other technology to enhance learning. 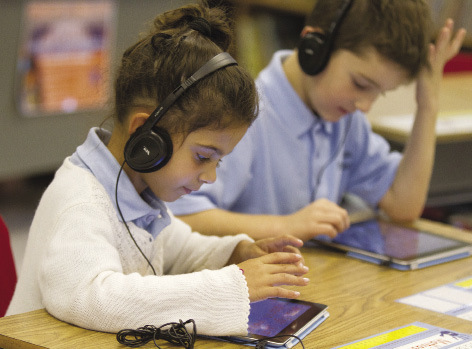 Several schools across the diocese have used Program Enhancement Grants or other fund­ing to purchase iPads, iPods and other state-of-the-art technology to enhance curriculums. Teachers were the first to explore the educational options available through these popular methods of technology and now are immersing students in an interactive, collaborative environment rich in multi­-media content and educational possibilities that seem to be truly transformative. Students are quick to learn the technology and eager to use iPads to read e-books, play skills practice games and access Google apps to create content, and iPods are often found in school listening centers to reinforce lessons. This technology also can be a valuable tool for students with learning disabilities who benefit from some of the online options that enhance their learning. St. James School in Johnson City, NY, has taken a unique approach to this new technology — creating a reward system for those selected for Student of the Week. Two names are drawn randomly from those nominated, and “winners” have the privilege of taking an iPad home from Friday through Tuesday of the following week. At home, the students can read books and play instructional games that have been pre-loaded on the iPad. One of the iPads was funded through St. James’ Annual Fund and the other was purchased with Heritage Grant funds. St. James also has four more units available for use in the library by students and teachers.